Richard von Geusau has a passion ... it is chocolate ... not just good chocolate but great chocolate. The creation of his fine artisanal product begins with the best couvertures from Belgium. This chocolate is distinguished by its high cocoa content and absence of artificial flavours and vegetable fats. Each chocolate is meticulously handmade using only the finest original ingredients – fresh cream, roasted nuts and exotic liqueurs, to mention a few. Specifically, and in contrast to these more traditional chocolates, the range boasts those spectacular combinations of spicy and aromatic ingredients and flavours that have become the Von Geusau legend. Not least of the benefits from this exquisite chocolaterie is the passion for perfection and personal attention at all levels from the man behind the product ... Belgian trained Richard von Geusau ... a true entrepreneur and absolute master of his art. Greyton has adopted him and so have many others, including some of the country’s finest hotels and wine estates. Richard recently worked with the masterful Kevin Arnold at Waterford Wines…a collaboration that resulted in a world class wine and chocolate pairing. And now the fascinating options of branded whisky and chocolate are also underway. The romantic 15 year Von Geusau journey has delighted many. It is a journey we all need to partake in at some point in our lives. 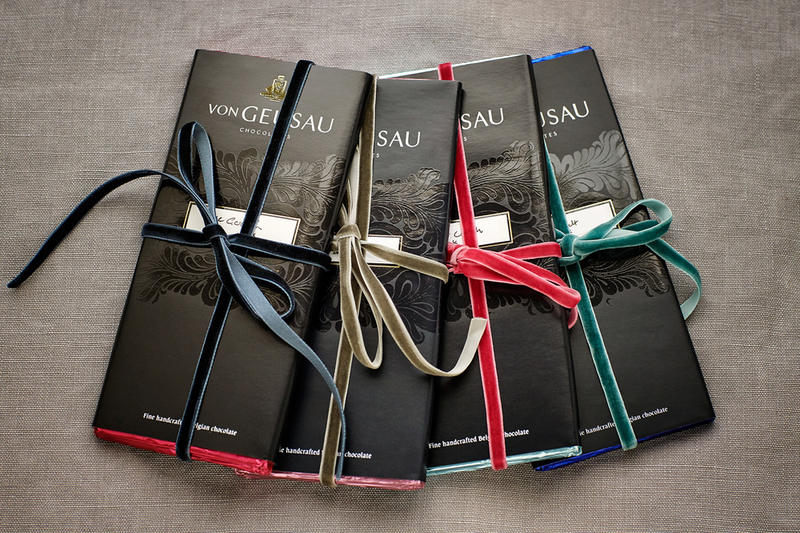 Von Geusau is chocolate from the heart. A smooth and silky texture with the essence of luxury. Enjoy plain or in a variety of enticing flavours: rose geranium, lemon & vanilla, cappuccino, mint, hazelnut, toffee crunch, almond & orange peel, lavender & pear. A creamy and decadent slab with a high cocoa butter content. Available in plain, a luscious café latte and an indulgent crème brûleé. Made from the finest Belgian couverture with a cocoa content of 60% and 70%. Rich and intense, savour it plain or enjoy the range of exotic flavours: chilli, masala chai, earl grey, rock salt, espresso, mint, almond & orange peel, cherry, hazelnut, toffee crunch, salted caramel. Harvested in Brazil, the Tonka Bean adds a seductive flavour of vanilla, almond and frankincense. This specialist chocolate is available in 50g slabs. A natural sweetener, Maltitol, reduces calories and ensures the sweetness remains without compromising the luxurious quality of Von Geusau chocolate. Available in Milk or Dark chocolate 80g slabs. 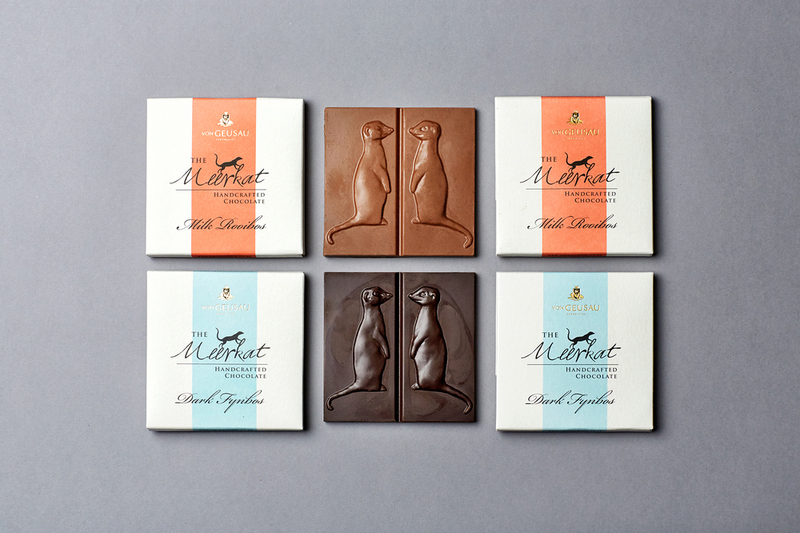 These delightful slabs of hand crafted chocolate celebrate South Africa's flora and fauna. Available in indulgent and indigenous flavours: Milk Rooibos and Dark Fynbos. Available in 80g slabs. Combining Maraschino Cherries with luxurious ingredients create these sublime wedges of chocolate bursting with flavour. Decadent and delightful, Von Geusau truffles transcend the ordinary with their avant garde range of sublime fillings. From luxurious praline to lush raspberry, creamy liqueurs, velvety caramel and an exotic banana-coconut form part of the vast spectrum of indulgent truffles. Also available in almond, whisky & cinnamon, brandy, champagne, rose geranium, blueberry, mocha, strawberry cream. The ultimate chocolate log, rolled with the freshest ingredients and delicately flavoured with the finest liquers. We craft specific chocolates for our corporate client portfolio. 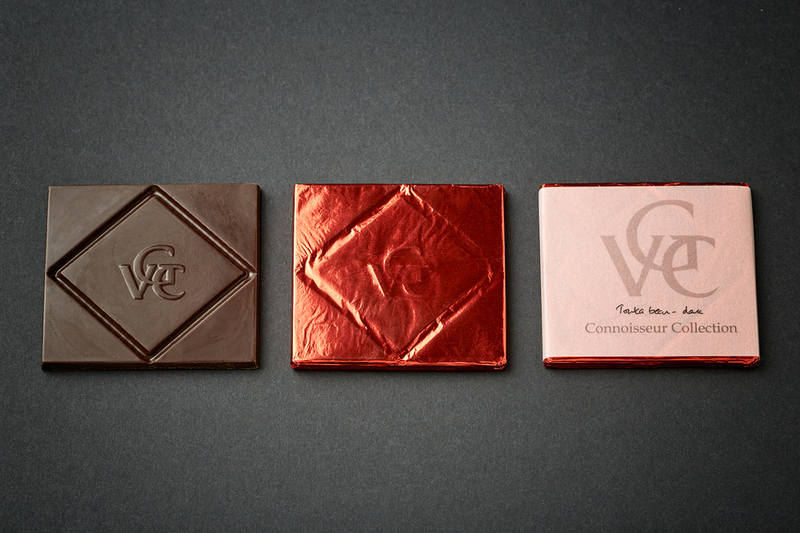 These bespoke chocolates can be specially branded (or co-branded) according to the needs and marketing focus of the company. A limited range of beautifully hand crafted Easter eggs and bunnies using the finest couverture chocolate. A rich and luxurious dollop of Von Geusau chocolate on a chocolate dipped stick makes the ultimate Hot Chocolate Stick. Just add hot milk..